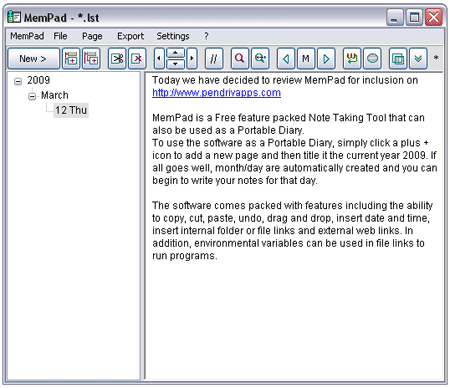 MemPad is a Free Note Taking tool that can be used as a Portable Diary. The software offers the ability to create a tree like note taking Portable Journal structure and comes packed with features including search content, drag and drop, copy, cut, paste, undo, insert date and time, insert internal file links and external web links. Search content and In addition, environmental variables can be used in file links to run programs.